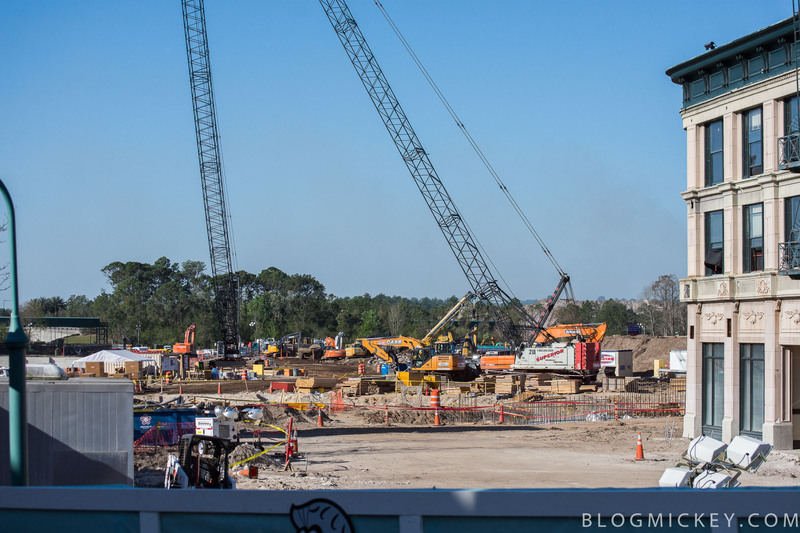 Coming up on almost one year since Streets of America was closed to make way for Star Wars Land, we now have our first glimpse of Star Wars Land construction that doesn’t require a helicopter or scaling a wall. 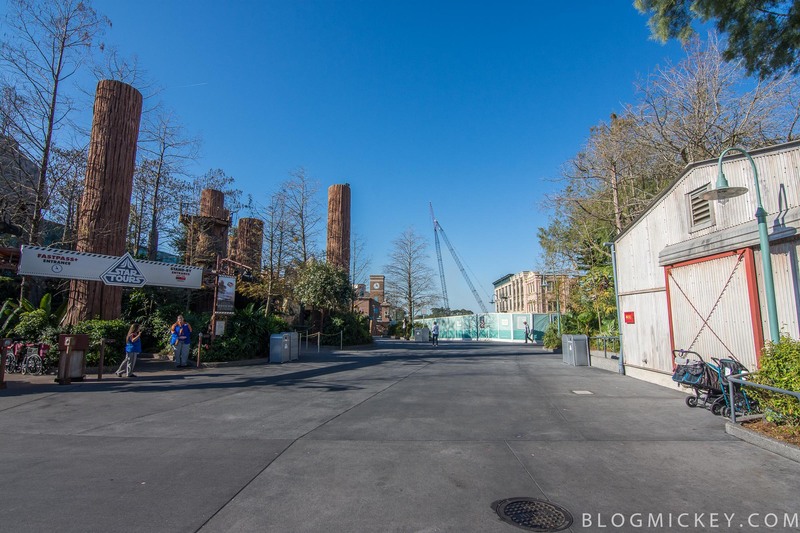 First, let’s take a look at the expanse that guests are greeted by when walking past Star Tours on their way to MuppetVision 3D. 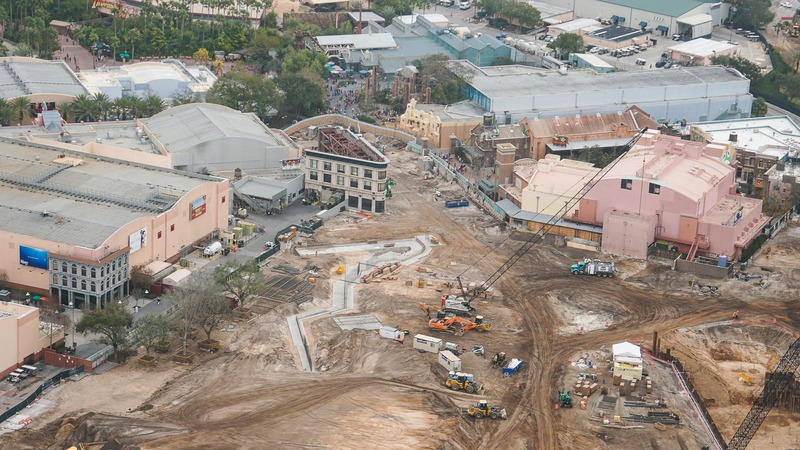 A closer look down Streets of America shows what will eventually become the entrance to Star Wars Land from Muppet Courtyard. 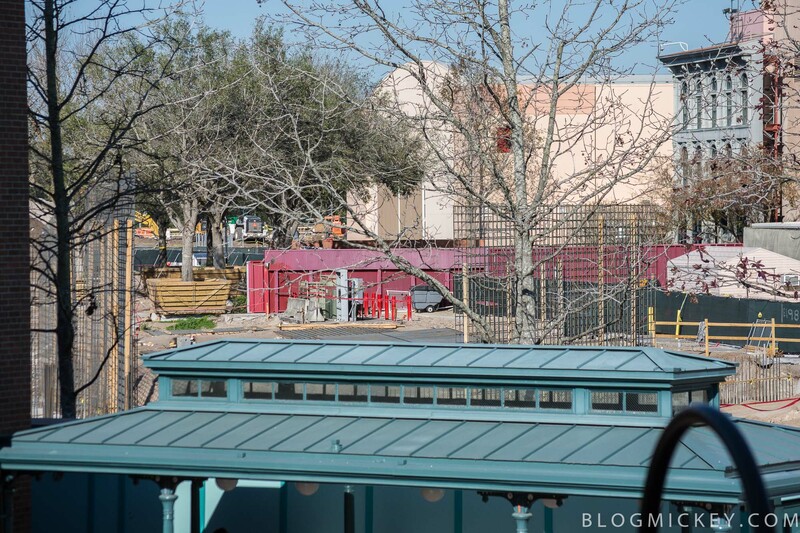 Walking up to the second floor of PizzeRizzo, we get our first glimpse of what appear to be the support structures of the wall that will hide Star Wars Land from guests standing in Muppet Courtyard. 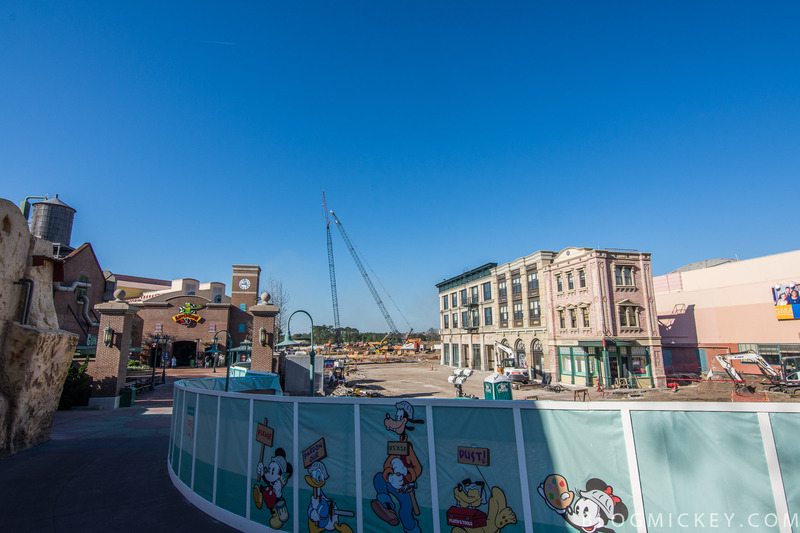 Shifting a little bit to get a better look around MuppetVision 3D reveals another section of the wall. Thanks to @bioreconstruct, we have a bird’s eye view of the area in question. What we’re looking at above is represented by the oddly shaped concrete slab in the photo below. 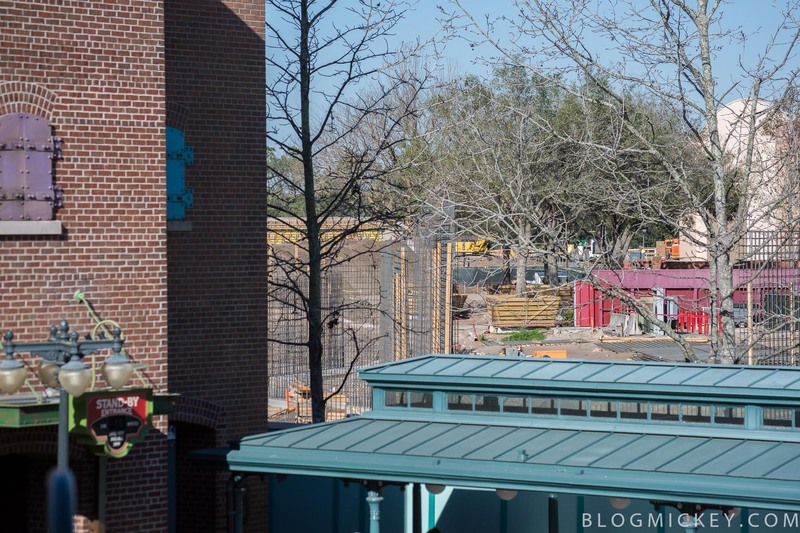 It is thought that the smoothed area between the MuppetVision 3D tower and the concrete will be the entrance tunnel to Star Wars Land. Here’s a quick video overview of the area. 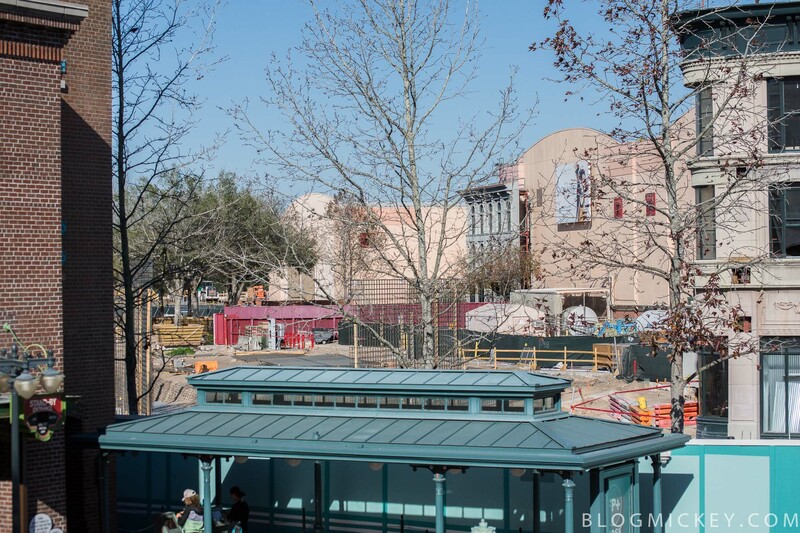 Star Wars Land will open to the public in 2019.